Nigeria's Supreme Court has dismissed a case that sought the cancellation of Edo State governorship election won by Mr Godwin Obaseki. The election of Mr Godwin Obaseki as the governor of Edo State has been upheld by the Supreme Court. The court dismissed an appeal filed by the candidate of the Peoples Democratic Party (PDP) in the election, Mr Ize-Iyamu. 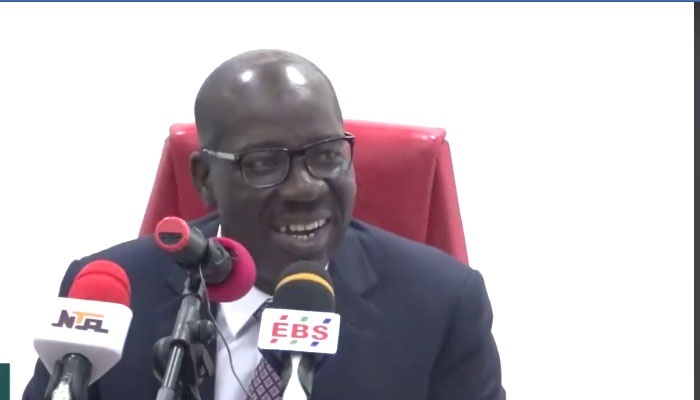 He waschallenging the election of Governor Obaseki for lacking in merit, but a seven-man panel led by the Chief Justice of Nigeria, Justice Walter Onneghen, unanimously dismissed the appeal. The apex court said it would give its reasons for the judgment on July 24, 2017. On how quick the judgement was delivered, the Chief Justice stated that the court had gone through the brief earlier, making it easier to arrive at a judgment as quickly as possible. The PDP candidate, Mr Ize-Iyamu had approached the apex court, seeking the dismissal of his appeal at the Appeal Court, which challenged Obaseki’s election. In September 2016, the Independent National Electoral Commission declared Mr Obaseki winner of the governorship election after he polled 319,483 votes over his closest rival and candidate of the PDP, Mr Ize-Iyamu, who got 253, 173 votes.